Chris and Marie have been together since their late teens, and Chris in particular by the age of 17 had developed a passion for Downhill Mountain biking, to the point where he competed at professional level all over the world. 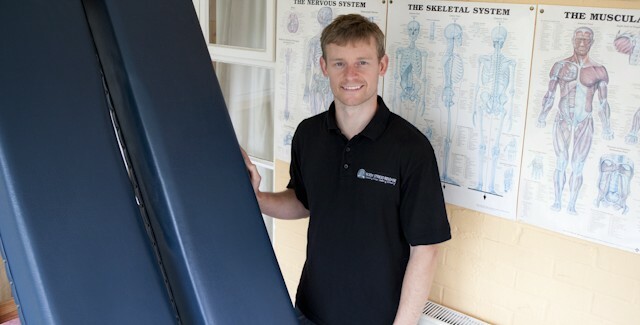 That was until Chris heard about a different kind of therapy practitioner who had been recommended to him and after just three sessions, found that the lower back pain had completely vanished. Peter Van Minnen, the first BSR practitioner to practice in the UK, was the original inspiration behind Chris’s desire to learn how BSR worked. Undertaking 5 months of intense training in South Africa with the founders Ewald and Gail Meggersee in 2002, Chris began practicing as soon as he returned home, and has since established a busy full time practice in the UK. Working from his home in Hailsham, East Sussex as well as in Neal’s Yard in London every Wednesday, Chris has helped 1000’s of people get back to health.